As most of you know I have dry, sensitive skin, which means that I can’t just put anything on my face… ok, I guess technically I could but it wouldn’t do me any good, that’s for sure. MyPure is an online store selling purely natural and organic skin care. Perfect for me! I was over the moon when I received an offer to work with them. Every month I get a budget of £30 to spend on my chosen product / products. It took me a while to select my first order as there are so many lovely brands and products I want to try. I started my selection from choosing the brand. Both of these products are natural, certified organic products, not tested on animals and suitable for vegetarians as well as vegans. 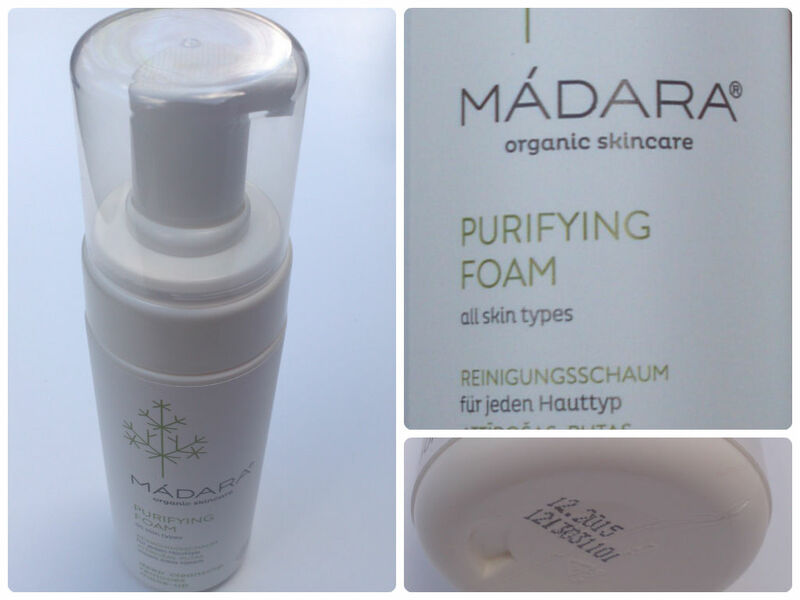 Madara Purifying Foam according to the website description: Rich and soft foam with Northern Yarrow extract deeply and gently purifies the skin. Removes make-up. Regulates oily zones while soothing dry areas. Skin feels refreshed and soft. Suitable for use around the eyes. Packaging: 150ml bottle fitted with pump and a cap. Bottle has all the relevant information present: ingredients list, description and directions for use, manufacturer details and use by date (which is not coded). Texture: it is foam, not sure what else I can tell you. It is quite “loose” when touched, it disappears / absorbs very quickly. It requires only gentle spreading to get it to work; this must be the reason why it is suitable for delicate eye areas. After use thoughts: As a make-up remover it works perfectly and it is very gentle. Skin is left clean and feeling fresh but it is lacking a good moisturising effect for me. Madara Cleansing Milk according to the website description: Creamy and soothing milk with Northern Oat and Linden Flower cleanses gently and effectively. Removes makeup. Helps maintain the skin’s moisture barrier. Skin feels soft, supple and comfortably clean, never dry. Suitable for use around the eyes. Great for dry skin types. Packaging: 200ml bottle fitted with pump. Bottle has all the relevant information present: ingredients list, description and directions for use, manufacturer details and use by date (which is not coded). Texture: milky and creamy with texture similar to most face moisturisers; very easy to apply and spread around. Fragrant: gentle and very pleasant. It is based on linden flower so maybe this is it. The fragrant doesn’t stay with you for long, it is gone within few minutes. After use thoughts: leaves your skin smooth and soft and well moisturised, which was a very nice surprise due to the inclusion of content number three, which is alcohol. It removes make-up with such ease, even the waterproof stuff. Skin is left soft and moist with a visible healthy glow. Both these product perform just as stated and do their job well. 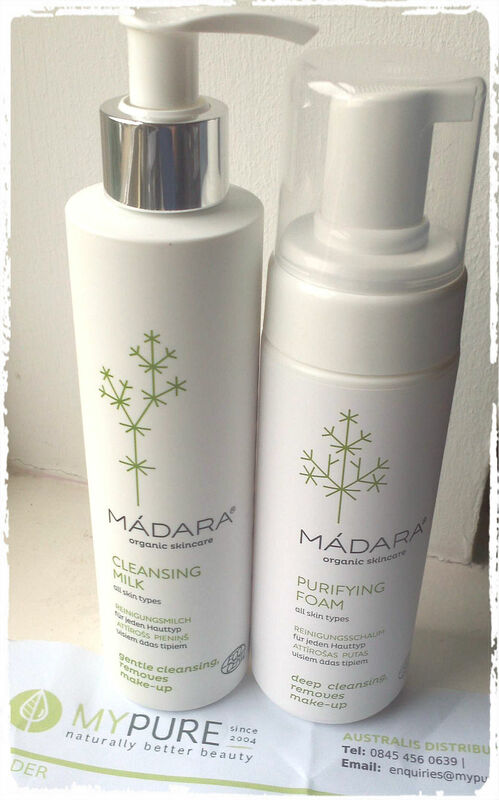 Madara Purifying Foam for me works best as a cleanser plus it is perfect as an eye make-up remover due to its texture. There is very little “scrubbing” motion needed, it penetrates your skin under just a gentle touch. When picking these products I was thinking that they will do the same job, but actually they do vary in their main tasks a little. After my first go I was thinking that I would not find a use for the purifying foam due to my overwhelming preference for the cleansing milk, but as the days were passing by I found myself reaching for it more and more often in order to do just the eye areas. It really makes a difference. There is no irritation, no redness; it is perfect for this task. I am very pleased with my first MyPure choices. 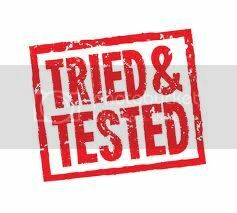 I would recommend both products I chose and I would be happy to purchase them again. Did you have any experience with MyPure or Madara? I haven’t heard of this brand before, sounds like you’ve discovered some great products. This sounds like a good product and worth a try. Haven’t heard of this brand, but I do like the sound of these products. Sounds like a good product, I do suffer from dry skin so will keep a look out for it. Ooh I haven’t heard of this brand before, I have terrible dry sensitive skin so I think I will have a look for these and give them ago. These sound like a great brand! They look simple but effective. Thanks.